An administration, a faculty and a non-teaching personnel finished their Graduate studies this year under the CHED K to 12 Transition Program – Graduate Education Scholarship Program. They are Dr. Dennis Madrigal; Dr. Ivy Aboy and Ma. Cecilia Mercado. Dr. Madrigal will receive his degree of Doctor of Philosophy in Education major in Research and Evaluation from Silliman University. 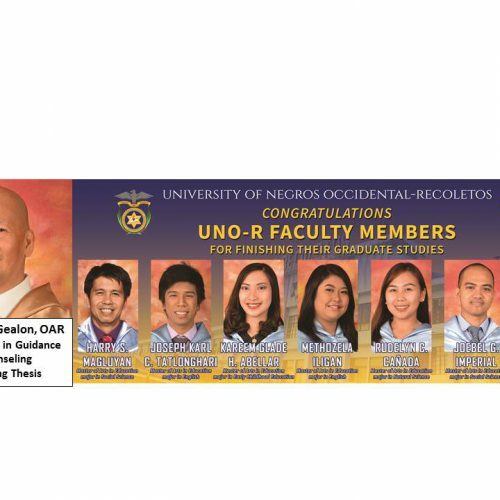 Dr. Aboy was conferred with the degree of Doctor of Philosophy in English with Concentration in Language last September 2018 at the University of San Jose Recoletos, Cebu City. 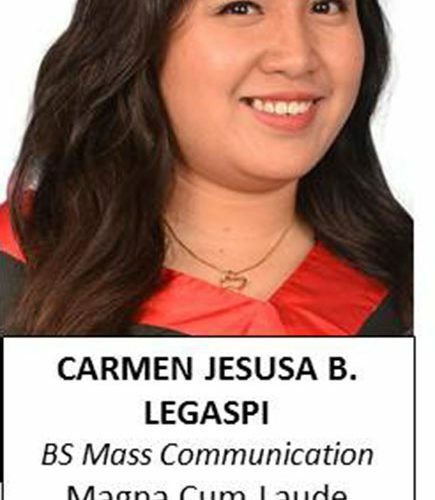 And Mrs. Mercado will be conferred with the degree of Master in Agriculture major in Plant Science from West Visayas State University, Iloilo City on April 1, 2019.